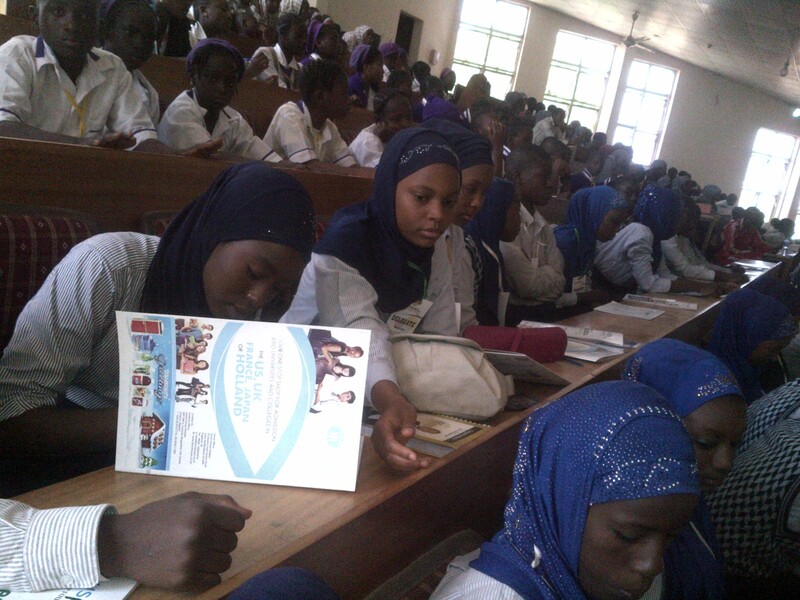 A Kaduna-based nongovernmental organization, Plusplay Leadership Foundation (PLF) has in its annual conference for secondary school students in kaduna, urged parents, teachers and secondary school students to study realistic courses in their preferred higher institutions to save them from absolute neglect by government. The foundation also added that since the oil, which serves as economic backbone of the country keep falling at the international market, Nigerian youth needed to take into cognizance the need to study courses that will make them a must have by Nigerian government. Taking the students through the theme of the conference, ‘Nigerian beyond oil: The power of ideas,’ the key Speaker and Director of Wusasa Business School, Zaria, Kaduna, Andrew Gani-Ikilama, said the youth have to forcefully enter their future because their grandfathers were not ready to relinquish power easily, adding that the only way to get that done is to engage themselves in most needed discipline in the university. According to ikilama, “we all know the prize of oil has dropped and I pray it drop up to like 20 dollars per barrel so that we can use our God given assets which abound all around us. We have fertile land and favourable weather for agriculture. “The flood thing is natural. We caused it. We would have even saved the water so we can use it both for domestic and agricultural purposes. “These children sitting here this morning are the future of the country. We are to expose them to future. We want them to get productive so they can actually be leaders of tomorrow. “The youth have to take it by force. If Audu Ogbe today is a minister in Nigeria, I weep for the country because there are young people that have brilliant ideas and integrity and if they don’t take it will not come to them. “How do they take it, by acting in their own corner. We cannot wait for mass movement because that age has passed. So if they are waiting until they became adult, they will wait endlessly because their grandfathers are not ready to give them chance. “So if we closely look at present age we found ourselves, it is just natural to begin to change the courses we offer in our higher citadel of learning across the country while the students themselves refused to be compel to go and study courses that will render them jobless at the end of the day. Leader of the foundation, Banjo Babatunde, told Today’s Impact in an interview that the rationale behind organizing the conference was to engage young people in leadership issues that are relevance to their future professions and personal interests. “We are looking at Nigeria beyond oil and what is obtainable right now. Nigeria cannot run on oil alone so we are looking at other means the country can sustain its economy not necessarily depend on oil. We are looking at some profession these students will study in the higher institution generally. “The courses some of us spend years to study are no longer relevant thereby making many graduates unemployable. Another thing we are also looking at in this conference is what are the professions that will be trendy in the next 20 to 30 years. Not somebody going to the university to go and study history. That is why we brought resource persons who are doing very well in their own choosing profession so these secondary students can learn from them,” he added.